Moving is never going to be a simple undertaking, unless you hand over the responsibility to a professional moving team. We offer a range of services to make moving easy, and in a range of prices to suit any budget. Choose the local moving services you want and need that will make local moving in Lauderdale Lakes easier on you. 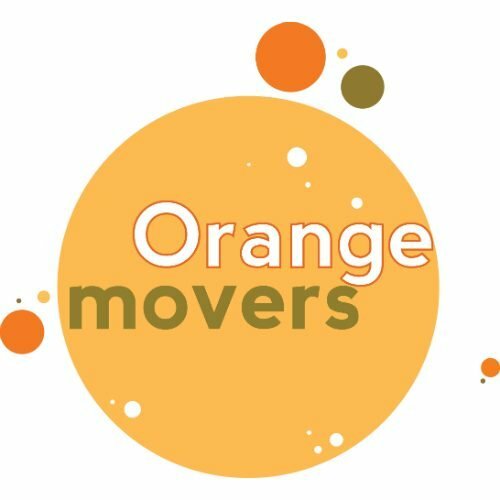 With Orange Movers, our first goal is ensuring that you are completely at ease when we start to get things moving. Are you looking for expert movers Lauderdale Lakes has to offer? Well, look no further, and let the professionals such as Orange Movers be your moving company of choice. We offer professional service, a wide array of customized services and readiness for work the likes of which has rarely been seen. Moving is never easy, and that is why we offer you high-quality service to make your moving experience a little bit easier. And by a long shot, if we may add. The reason for this is our competent team of experts who have undergone training in order to become masters of their craft. No matter what sort of moving your Lauderdale Lakes home or office needs, we can do it. If your mind can imagine a moving service, it’s a moving service that we can do, and with movers in Fort Lauderdale and all throughout Florida, we cover all destinations. Our qualifications make us the golden standard of moving. American Moving and Storage Associations. All of the organizations mentioned above have judged us and deemed us worthy of their trust. “And what do the customers say about Orange Movers” you may ask? According to Yelp, at least, they’re very much pleased. We are judged according to a high standard imposed by our customers and the market, and none have found us wanting. Projectors – they have sensitive optical components. We will give you a full estimated price – we don’t want any surprises and you probably don’t, either. Let’s get down to business – a new, bright future awaits. Our storage units offer protection, even against the worst weather imaginable. Insects – our containers and tightly sealed to prevent infestation. Self-storage is a booming industry in the US, and Orange Movers is glad to be a part of the ever-expanding market. That is why we offer an absolute maximum of safety when it comes to safeguarding your possessions. No other movers Lauderdale Lakes offers is as professional, efficient and precise as we are. That alone should be more than enough. However, if you’re still not convinced, let us assure you that numerous consumer reviews have praised our knack for efficient and speedy, yet careful, delivery of your goods and services. We consider ourselves more than just simple movers – we believe that moving is an art and that not everyone is suited to such a performance. We are, however. It requires dedication, precision and years of practice to truly master and to conquer the market. So why wouldn’t you grace Orange Movers with your trust and allow us to take you belongings on a wonderful journey to a new life, be in the same city, in the country or somewhere across the globe? Our movers Lauderdale Lakes guarantee total customer satisfaction. That being said, why don’t you give us a call? Even if you need to move as soon as tomorrow, we can be there. In a matter of a few hours, we can be on the road. We are ready for any challenges you may throw at us, and we will always deliver the best service Lauderdale Lakes has to offer. Look no further and contact our expert Miami movers for an estimate, and let’s schedule your adventure! House or apartment, one floor or six, Orange Movers provides you with all the tools you need to change your home in Lauderdale Lakes. Our customized moving plans include perks like free boxes and short term storage, to give you a jump start on getting your move in gear. Ask our pros about full service moving in Lauderdale Lakes, where all the heavy work is taken care of by our team. When it comes to local moving in Southern Florida, no one is getting the job done as well as we are. Call us now and find out more about residential moving in Lauderdale Lakes. Commercial relocation needs to be carefully planned and executed if you want it to go efficiently. We have a team of commercial relocation pros, who have hands on experience with businesses of all shapes and sizes. Whether it be a home office space getting an upgrade to a rented space, or a warehouse full of your best inventory, you want our skills on hand to ensure that your local commercial move is done quickly. Speak with our commercial moving experts to start making your plan for business moving success. Maybe it’s an antique credenza, or a carefully selected collection of wine. Whatever it is that is worrying you about your local move, Orange Movers can find a solution. 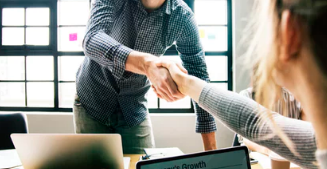 Heavy, awkward and even invaluable are not a problem for our team, and you’ll be amazed at how fair the pricing is for moving your special items. Let our reps know that you have something outside of the box to move in Lauderdale Lakes, and they’ll figure out an affordable solution to getting it into your new house or office. There are moving companies in Southern Florida that don’t always give you an accurate quote on your local move. With Orange Movers, we encourage an in-home estimate, where we are able calculate a fair price based on what you have to move. Go ahead and take a magnifying glass to the contract we offer you, there are no extra fees hiding in any of the print. We work with integrity and honesty when giving you a quote, which is how we have come to be known as a trustworthy moving company in Lauderdale Lakes. Over half of our customers have moved with us in the past, or know someone who has. Our business has been built on referrals and repeats, thanks to our professional moving services and fair pricing practices. When you are moving locally in Lauderdale Lakes, choose the moving company that is trusted by your friends and neighbors. We take your faith in us seriously, and work hard to ensure that it is never broken. Local moving packages from Orange Movers come with all kinds of benefits and surprises. You could be eligible to get 10 free boxes, and a month of storage. This, on top of a discount for local moves within 100 miles. Don’t dismiss the value of freebies and discounts when calculating the cost of your move. Expenses add up quickly when you move locally, but you can cut some of those out with our special pricing. Call our office to get more details on what types of discounts you could benefit from. In addition to being a premier moving company in Southern Florida, we have a state of the art storage facility at your disposal. 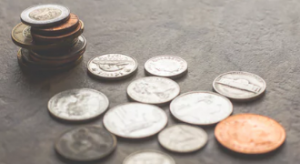 Whether you need to keep possessions safe for a few weeks or months on end, our facility is available in a number of different price options. Not only can you store your things safely with Orange Movers, we’ll pack them up and transport for you. This exclusive service takes the stress out of finding a way to keep your stuff safe, while you are waiting for your new house to be ready for you. Our crew is the epitome of friendliness and professionalism. We love what we do and it shows. From the first phone call you make until the last box has been emptied out, you are going to be impressed with the high level of service we provide, for an affordable price.